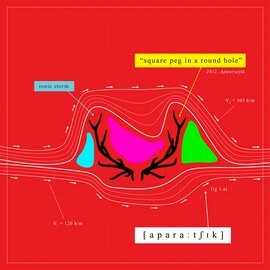 The final draft of Apparatjik’s Square Peg in a Round Hole album was released on Tuesday, February 21st. theoutland.com; MP3, WAV and CD. 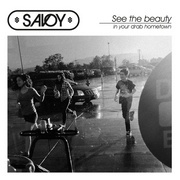 The digital formats can be downloaded right away, while the CD starts shipping on March 19th. 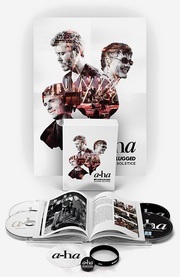 There will also be an Apparatjik “Augmented Reality” app available for iPhone and iPad on March 19th, which will apparently provide you with a special experience when used together with the CD cover. Apparatjik have now also set up a page on NRK P3’s Urørt community, which is a sort of Norwegian MySpace for young, unsigned musicians. “Urørt is the place in Norway where those most interested in music get together, and therefore the most exciting community for us to turn our attention to”, Magne says in an article on NRK.no. The article also mentions that Apparatjik have been invited to perform on the Orange Stage at the Roskilde Festival in Denmark this summer. But this is yet to be officially confirmed.